Walk tall in these 24 eyelet platform boots. 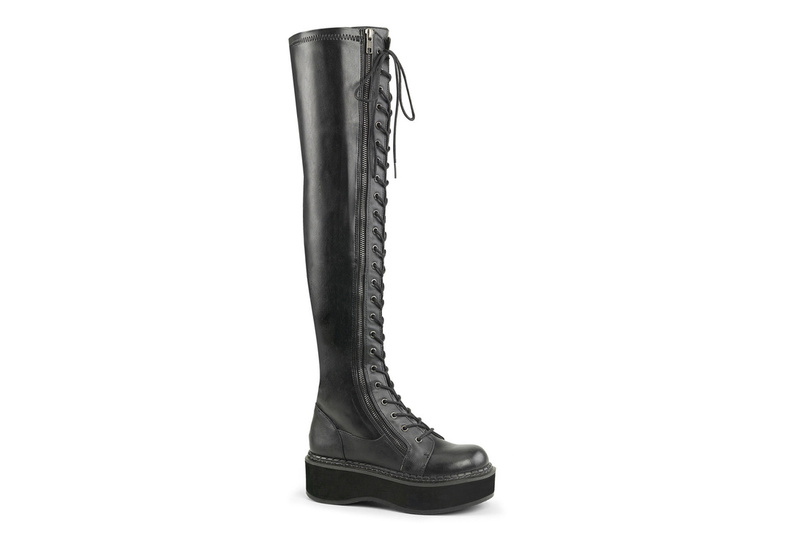 With a two inch platform and a whopping 24 eyelets the Emily-375's are sure to get attention. 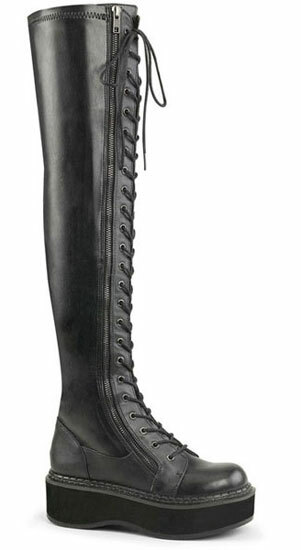 Made from vegan leather these boots have a full outer zipper so you don't have to lace them up all the time.